In Georgia, post-divorce spousal support, which is often referred to as “alimony” or “separate maintenance,” can be awarded for a number of reasons. Unlike child support, there are no state requirements for spousal support awards in divorce. In general, it is intended to take into account the contributions of spouses, either male or female, who have cared for the children or supported the careers of their working spouses. In Georgia, alimony is not a right, but it can be appropriate in certain situations and awarded over time or in one lump sum after a divorce settlement. In order to determine eligibility, courts consider a number of issues, including the needs, income, and assets of each spouse. How Does a Judge Determine Georgia Spousal Support Levels? Lump Sum Alimony: Provides a one-time, non-modifiable lump sum amount. Periodic Alimony: Works best for people when they can’t pay a lump sum. 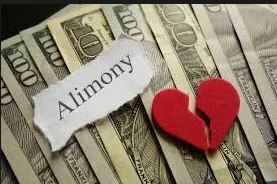 Plus, people receiving alimony often tend to prefer the regular “income” of a periodic alimony payment. Payment of Divorce Attorney Fees: Evens the playing field between spouses during court proceedings so that one spouse is not at an unfair advantage in paying legal bills over the other. If granted, alimony is enforceable by either an action for contempt, or by garnishment and execution on property. In Atlanta and all of Georgia alimony is not guaranteed, and the process is somewhat complex. That’s why it’s important to have an experienced Atlanta divorce attorney to work on your behalf to maximize your chances of achieving your alimony goals. Whether you are seeking alimony in your divorce or opposing it, Atlanta divorce lawyer Nancy Ghertner can assist you. Call our Atlanta family law firm to set up an appointment for a consultation. We are located in Sandy Springs at the top of the Perimeter. If the court has already issued an alimony decision, don’t worry. Nancy Ghertner can also help guide you through the appeals process.